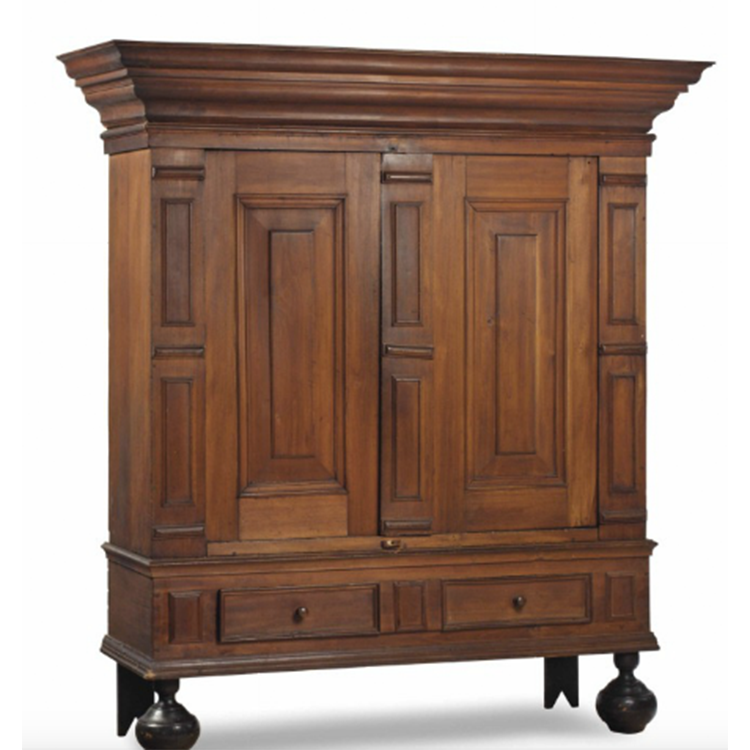 A kas is a large 17th/18th century cabinet or wardrobe from the Netherlands and Dutch colonies, raised on bun feet. It typically has two doors, arched panels (divided by twisted columns) and a number of drawers at the bottom. It also features elaborate grisaille paintings or carved decorations to the panels, with a heavy cornice. At an auction held March 6th by Carlsen Gallery in Freehold, N.Y., the heavily decorated 18th century Hudson Valley kas pictured here, made from red gumwood and pine, sold for $10,000. It was the top-selling lot in the auction. 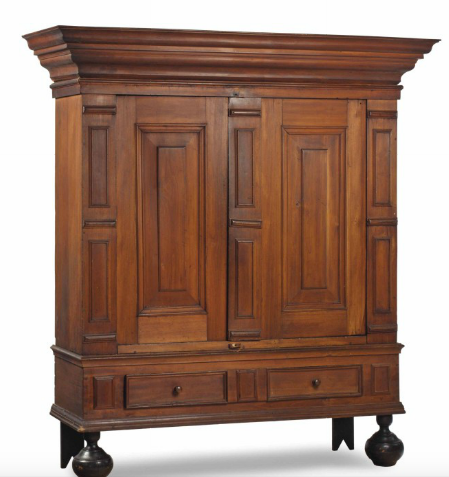 An American William and Mary Gum Wood Kas cabinet. Sold at Christie's in April 2015 for $15 000 against an estimate of $1 000-1 500.